"Our respective Nations are actively working together to address threats and shared interests in space; and to preserve access to the space domain for the future of humankind. We are actively coordinating to further our national interests through the Combined Space Operations (CSpO) initiative. 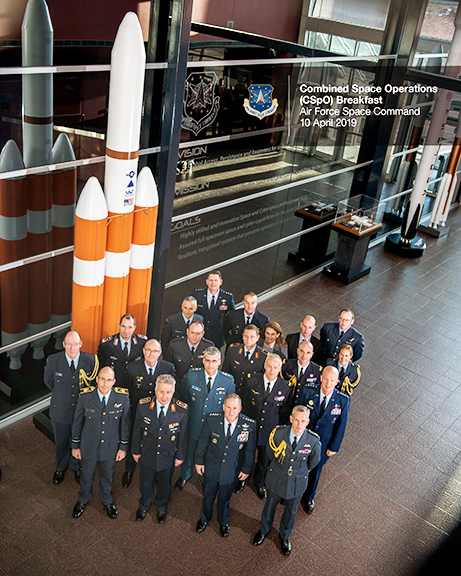 In part, CSpO collaboration includes enhanced Space Situational Awareness and data sharing among all partner nations to support space activities. "To enhance our space collaboration, we are also discussing operational concepts, personnel needs and infrastructure requirements to enhance multinational command and control of space forces in and through the Combined Space Operations Center and the other national Space Operations Centers.